CONSUELO MACK: This week on WEALTHTRACK, an exclusive interview with a spelunking stock picker who looks for light where others see only darkness. The Tocqueville Fund’s deep value, contrarian portfolio manager Robert Kleinschmidt is next on Consuelo Mack WEALTHTRACK. 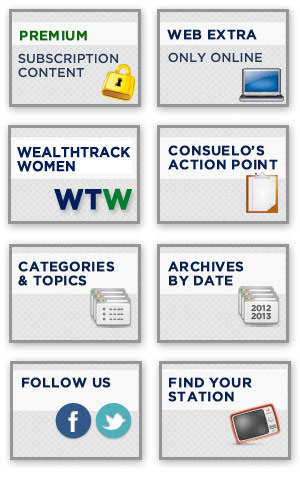 Hello and welcome to this edition of WEALTHTRACK, I’m Consuelo Mack. After a long hiatus, market volatility appears to be back. The widely followed VIX, or “CBOE Volatility Index” which measures expectations for near-term market volatility has picked up in the last couple of months, which is a problem as far as financial advisors and their clients are concerned. A recent quarterly survey of advisors by Eaton Vance found that volatility is a top concern for them and their clients right now, followed by generating income, capital appreciation and reducing taxes. One source of market volatility is the prospect of a change in Federal Reserve policy from one of extreme ease over the past five years to possible tightening. But is this fear justified? In a recent report to clients the street’s number one economic research team, ISI Group, wrote: “Fed Tightening is Not Necessarily Bad for the Stock Market.” They gave two examples. One from 1994 to 2000, when the key Fed funds rate more than doubled from 3 percent to 6.5 percent and the S&P 500 increased three fold. However there was some market drama. There were 5 corrections averaging minus 12 percent in the six year period. The other example was from 2004 to 2007 when the Fed funds rate skyrocketed from 1 percent to 5.25 percent, and the market increased 30 percent. During that period there were 5 market corrections averaging 7 percent. This week’s guest is not worried about the Fed tightening at all. He is a noted contrarian investor who has appeared exclusively on WEALTHTRACK over the years. Robert Kleinschmidt is the President and Chief Investment Officer of Tocqueville Asset Management, a firm with about 12 billion dollars in assets under management for high net worth individuals and institutions around the world, plus several mutual funds. He has been the Portfolio Manager of the four-star rated Tocqueville Fund since 1992. Under his management the deep value, stock focused fund has delivered 8 percent annualized returns over the last fifteen years, far outperforming the market and its category. I started our conversation by asking him about one of his most contrarian views. That the Fed was not about to raise interest rates any time soon. ROBERT KLEINSCHMIDT: The Fed really doesn’t control the interest rates. The market controls the interest rates. And so the Fed does control one very short-term rate, and that short-term rate does have an impact on the longer-term rates. There’s a relationship between that short-term rate and the longer-term rates, but that relationship is fluid, and it can be different at different times, and you can even have a negatively inverted yield curve, so it’s not really clear what the Feds’ real role in interest rates actually is. There is a psychological impact, however, to what the Fed does, and so it is all together possible that by raising this rate, it may change the psychology of the market, which could cause interest rates to go higher. Now, as a matter of fact, higher interest rates are disastrous for the U.S. federal budget.